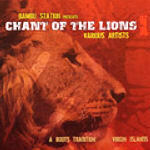 Chant Of The Lions is the latest compilation to be released by Mt. Nebo Records. 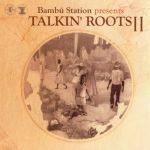 This albums follows in the tradition of the Talkin' Roots albums that feature poignant lyrics laid over some rootsy cruzian riddims. Chant Of The Lions features 14 tracks including selections from Star Lion Family members Ickarus, Rafijah, Kimbe Don, Pressure and NiyoRah. Ickarus - I See Danger 8. Papa Black w/ Jahold - V.I. Cowboy 9. Pressure - Firebun Day 10. Rafijah - Jah Iz 11. Ras Bumpa - Taste of Consciousness 12. Kimbe Don - Time Is Up 13. NiyoRah - Badness Will Bloody U 14. Recorded @ The Station, St. Thomas, V.I. Mixed, Mastered & Edited @ Rufftone Studios, St. Croix, V.I. 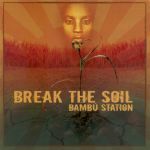 All music composed, arranged & performed by Bamb� Station except where noted. All songs written & performed by listed Artists. Producer Eddie �Idee� Beazer of SPM Records. Ickarus � A Star Lion bredren from St. Thomas whose voice resonates with heritage & a lyrical acumen only matched by his humble spirit. Debut album, �Mind of the Ictionary,� Mt. Nebo Records, 2007. Jahman - Energetic & much talented St. Thomian chanter. Founder of Splatter House Records. Jahman works tirelessly to bridge the musical gap between reggae and rap. Three albums to date. Jahold � Foundation vocalist & performer through much of St. Croix�s formative years in roots reggae. Jahold sings with clarity, heart & experience. Appeared on Army's "Yesterday's News." A freshing voice & sound. Kimbe Don � A Star Lion bredren who is one of the V.I.�s best voices coming from 'Rock City' St. Thomas. Kimbe symbolizes the upful raging of V.I. reggae; quality, substantive, impacting. Totally dynamic. NiyoRah � A Star Lion bredren blessed by Ancient teachings, vision & family. This 'Rock City' (St. Thomas) chanta of Dominican heritage bears a torch of his generations� blessings onto mankind. In 2005 �A Different Age� and 2006 release "Purification Session (IGrade Records)." Papa Black � Bobo Dred from one of St. Croix�s most prolific & lasting musical families. Papa Black honed his expressions on the streets & chant outs of St. Croix�s back-yard sessions for many years. His first releases are offered here. Pressure � A Star Lion bredren whose mic ferocity is best described by his moniker �Pressure Buss' Pipe.� Pressure�s debut �The Pressure Is On� solidified him as a beacon of hope for his generation & reggae itself. Versatile, intense, fluid & truly unlimited. Pressure is also from �Rock City� (St. Thomas). Rafijah � This Star Lion bredren of hispanic heritage is set to impact music in many ways. His musical talent & range is seldom seen for generations. A producer, arranger, musician & emotive songwriter, Rafijah es un hijo de Dios from 'Rock City' (St. Thomas). Star Lion Family was one of the V.I.�s most gifted groups ever to form. 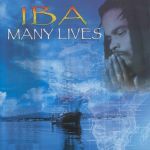 Comprised of 7 singers from St. Thomas, V.I., they released �Straight From The Heart,� �Brighter Days� and several popular sound system productions. 5 of the 7 members appear here. Star Lion Family was Siras, Jahgon Nature, Rafijah, Ickarus, Niyo Rah, Kimbe Don & Pressure Bus� Pipe. Its members are now pursuing solo efforts. St. Croix singer and songwriter with albums Yesterdays News & Struggler.